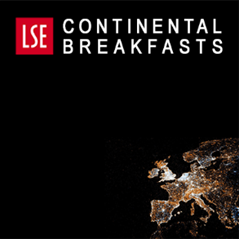 On 23 September, European Parliament President Martin Schulz delivered this speech at the LSE. He argues the ‘four freedoms’ of the EU are indivisible and calls for zero tolerance of xenophobic violence and hate crime. Warning of no a la carte menu, he promises to tackle Brexit in a firm and fair manner. Last time I was here, on 5 February of this year, I argued that we needed the UK to make the EU stronger and better. I painted a picture of a world in 2050 in which no single EU Member State was in the G7. And where Europeans made up just 5.4% of the world population. I pleaded for a smart coexistence between the regional, the national and the European levels, not the triumphant return of the nation state as a solution for all problems. Who would have anticipated precisely what came next? That the campaign would get so nasty that a Member of the UK Parliament, Jo Cox, would be brutally murdered, in broad daylight, for her political convictions? As Gordon Brown put it when he visited Brussels ahead of the referendum, how could the most internationally minded of all countries – a model for many other Member States -simply walk away from its nearest neighbours after 45 years? Why leave when you could instead lead? And yet, seven months since my last visit here, we are now trying to figure out how the UK, as a third country, could best co-exist and cooperate with a European Union of 27. Let me first share with you a few personal reflections on this result. The referendum campaign divided British society like no other event I can think of. Let me express the hope that Prime Minister May will continue as she started in her very first statement, to attempt to reunite British society around an inclusive project and not further feed those divisions. I think the Brexit vote was a loud and clear warning signal for the EU as a whole to reform, and by this I mean not only the EU institutions but also the Member States that make up the EU. But at the same time I am very wary of the many vested interests now peddling so-called “lessons” to be drawn from the referendum. It was not a vote to end the EU. In fact, a recent survey shows that people maintain trust in the EU, often more than in their national governments, and want an increased role for the EU in a number of areas. The fundamental point was already captured perfectly by Winston Churchill seventy years ago in Zurich: if the EU gets a competence in a given area, it should also be given the necessary tools to achieve results. This is not about intergovernmentalism versus federalism – the EU is in neither category – it is about delivering effective policy and ensuring that citizens feel their voice counts. However noble the objective – the enterprise is meaningless if the means are not given to achieve it. In many EU policies we are stuck in this dilemma. It is clear to me that social inequality, stagnating wages and a middle class which felt threatened were the decisive factors in the result. The rural / urban divide was palpable. Free movement of persons was also plainly a factor, and I regret that the benefits of access to the Single Market were often drowned out in the debate. But to claim now that the vote is a clear popular mandate to sacrifice single market access on the altar of “migration” is simply wrong. The European Union cannot win the trust of its citizens by repeating the idealistic vision of globalisation which has held sway for the last decades. Globalisation is increasingly being seen not as opening up a world of opportunities, but as causing a race to the bottom and eroding our core values. It is now perceived by many as a threat to jobs, state finances and social systems. We should carefully listen to the messages electorates are sending to politicians across Europe and beyond, and refrain from too easily labelling the success of anti-system parties as populist feats. We need to guarantee protection to EU citizens as a strong bloc – a shield and not a Trojan horse. We can only achieve this by being united and I want to give you just one example: the European Commission’s decision in the Apple case a few days ago. Big corporations are playing “divide and rule” with national governments, confronting them with the threat of relocating to the lowest bidder in terms of fiscal rules and oversight. Only through joint and firm action can we prevent such abusive practices. The institution which I have the honour of presiding since 2012, the European Parliament, will play a key role in setting the new relationship between the EU and the UK – not least because we must consent to any withdrawal treaty and subsequent treaty setting out the full relationship. And everyone wants to avoid the experiences we had a few years ago – which some of you may remember as the so-called TFTP(SWIFT) and ACTA cases – where the Parliament’s priorities were not reflected in the negotiations and it decided to veto the final deal. I must underline as a preliminary remark that all EU institutions are abiding by the principle “no negotiation before notification”. This may seem irritating but it is in fact common sense. It was the UK’s decision to have a referendum. The European Parliament fully respects the result of this referendum but it is not up to the EU institutions to draw conclusions about what the UK should do. We first need the UK to tell its partners formally what future its sees with them. Once this happens, the EU27 can decide what they make of such demands. And by the way, the UK needs a united, not a divided, EU to achieve a good Brexit deal: a disunited EU stance on Brexit could mean that there is no agreement between the EU and Britain and that would be the worst outcome. It is understandable that such a complex task as the triggering of Article 50 is not a mere formality and requires detailed preparations which could only start after the referendum result. However it is also conceivable that the longer the UK waits to take this step, the more entrenched the respective positions risk becoming. That is why I called on Prime Minister May to notify the UK’s departure from the EU as soon as possible. No one can credibly accuse the EU institutions of not having respected the sovereignty of the United Kingdom. Those institutions held back and did not intervene in the run-up to the referendum despite some of the outright lies and accusations being proffered. What we can’t afford to do now is to press the pause button on EU activity when it is in the midst of a migration and refugee crisis, when it must plan its financial framework for the coming years, when it must complete the Economic and Monetary Union. Moreover, if Article 50 is triggered too late, we run the risk of facing European elections in the UK in 2019 at the very same time as it is leaving the EU. That would be a very difficult thing to explain to UK and to European citizens! I would like to underline today, with the hindsight of the meetings I have had here in the last two days with the Prime Minister and the Leader of the Opposition, what I think should be the broad parameters in the future relationship between the UK and the EU. Firstly, I’m convinced that all actors around the table want to make the best of this unfortunate hand of cards. But let me say this again clearly – the best possible deal with the EU is membership of the EU. Any other arrangement necessarily entails trade-offs. Perhaps it is easier to convey what I am trying to say in culinary terms: there will be no à la carte menu. Secondly, on free movement – I see a clear majority in the European Parliament for insisting that the fundamental freedoms are inseparable, i.e. no freedom of movement for goods, capital and services, without free movement of persons. I refuse to imagine a Europe where lorries and hedge funds are free to cross borders but citizens cannot. I cannot accept any hierarchy between these four freedoms. The Union is a community with a shared destiny, a model of society, not an accountants’ club. A number of countries are correct to raise the issue of those citizens who have already exercised their free movement rights and find themselves unwittingly caught up, together with their families, in the middle of this Brexit. And this cuts both ways – many Brits living abroad are also affected. I was astonished during the campaign to discover that a Pole, an Italian or a French citizen working in the UK was an “immigrant” whereas a British citizen working in Amsterdam or retiring in Spain was an “expat”. This rhetoric is damaging and it is also dangerous. Many people are looking on with concern at the rise in xenophobic violence and hate crime over here – somehow legitimised in the minds of the aggressors by the popular vote. The only correct attitude towards such violence is zero tolerance and this is the signal expected from the authorities in all Member States. Thirdly, we need a setup where the UK and the EU can continue to project their core values on human rights, democracy and the rule of law towards other continental blocs. On foreign policy we must stay close partners. Fourthly, in the fields of security and defence policy, although the EU loses a key Member State, paradoxically, such a separation could give the necessary impulse for a closer integration of the remaining Member States. The Franco-German proposal from this summer on security and the proposal from September on defence – largely endorsed in Bratislava – are a clear sign of things to come. And there are many ways in which the UK could engage and contribute to such a new more coordinated EU of 27 without standing in the way of such integration. I’m not sure how seriously to understand the threats of UK vetoes in this area that have been recently made. If we are indeed going to reset our relationship – I would make a plea to put an end to this systematic talk of blocking – which is counterproductive and anyway not possible in this case. Fifthly, on trade – perhaps the single most important issue in the upcoming negotiations – I think many tend to underestimate the complexity and delay involved in the UK setting up its own trading relationship with the EU and the world. One just needs to consider that the free trade agreement between the EU and Canada – not known as our most complicated partner – is in the making since 2007. One thing is clear: the EU wants to remain open to the world. The United Kingdom helped to deepen and strengthen the EU single market and open it to other trading partners in the world. It was the UK that decided to leave a Union that it had helped to shape, not the other way around. Many commentators state that the EU without Britain will be a less liberal place. I disagree. I think the real question has to be put to British politicians and to the British public: will Britain outside the EU remain the outward-looking nation which so many of us know? Contrary to how it is sometimes portrayed, the European Parliament is not out on some punitive mission – and I would like to set the record straight on this. 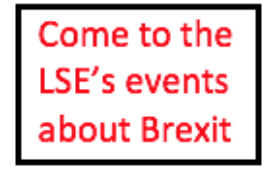 The institution I preside is tackling Brexit in a level-headed and fair manner without the slightest hint of retaliation. Last week the new UK Member of the European Commission, Sir Julian King, was voted through with a large majority to get on with the business of ensuring our citizens security. The week before that, the Parliament set up its negotiating structure, coordinated by Guy Verhofstadt, an experienced statesman, 9 years prime minister, who has played a key role in the February “Settlement”. Our common challenge is to make the best of this situation. To part ways but to stay close, working together on the numerous common challenges we have. Let’s be honest, despite all the noise coming from commentators whose job it is to ramp up the drama, it is not a zero sum game – a bad deal for the UK will hurt the EU and vice-versa. Dear students – for me as a post-war German, the son of parents who have lived through the horrible experience that was World War Two, the EU as a guarantor of peace has always been a fundamental concern. We managed as a Community to consign our demons to the past, to unite East and West, to set high social and environmental standards, but those achievements are by no means irreversible. I strongly believe that the European Union is relevant in addressing the challenges of the twentyfirst century but it must find a new narrative. We cannot shape a new European future at such a time of fragility by indulging in nostalgia – none of us, including the UK, can bring back the past. Rather we must fight to preserve our way of life and core values, and this can only happen if your generation – bright young students such as yourselves – take it into your hands. If you are ready to fight against prejudice, against small-mindedness. Against the resurgence of nationalism, populism and hatred. To promote dialogue, understanding and uphold our social model built by previous generations. Because I am convinced that the worst day of European integration is better than the best day of a nationalistic Europe! And we need all the energy, ideas, visions and pragmatism of your generation to breathe new life into the European project and shape the future of the Union. 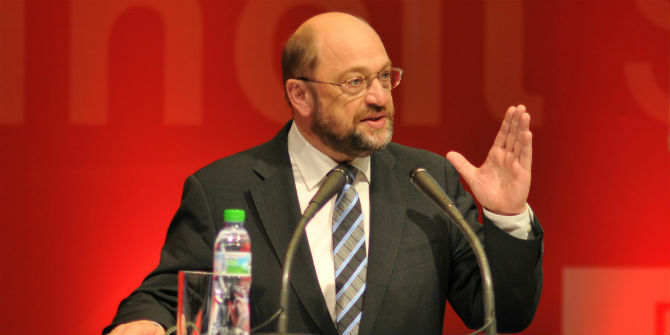 This post represents the views of Martin Schulz and not those of the Brexit blog, nor the LSE.